The range includes convenient, environmentally friendly and cost-effective bonding, filling and potting solutions for almost every application in the woodworking and furniture manufacturing sectors. The exhibition is taking place at the Dubai World Trade Centre from 12 – 14 March. 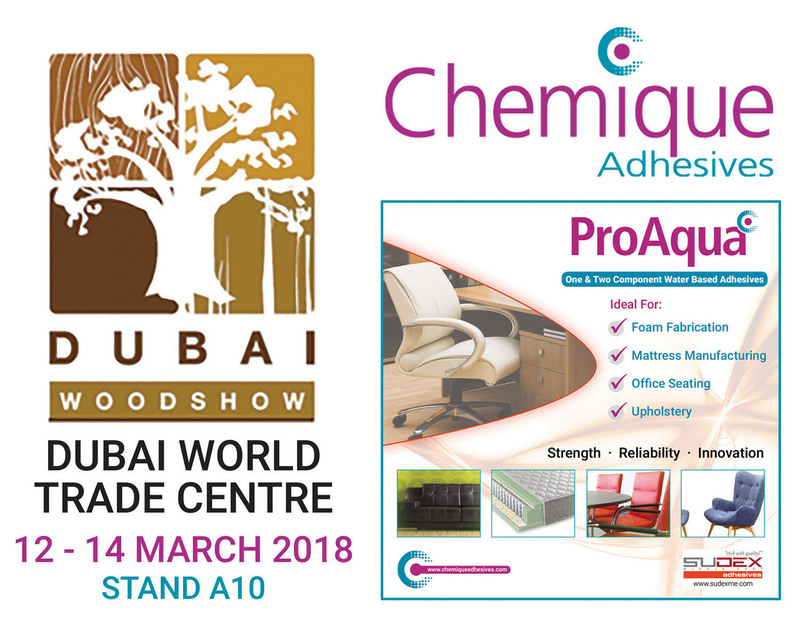 Chemique Adhesives will be partnered with Sudex Middle East, a leading construction, interior design and building materials specialist on stand A10.